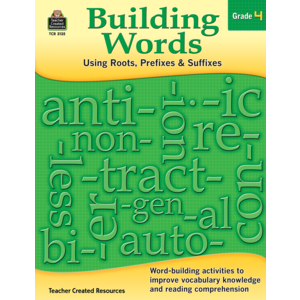 ELA.RF.4.3a: Use combined knowledge of all letter-sound correspondences, syllabication patterns, and morphology (e.g., roots and affixes) to read accurately unfamiliar multi-syllabic words in context and out of context. ELA.RF.4.4a: Read on-grade-level text with purpose and understanding. ELA.RF.4.4c: Use context to confirm or self-correct word recognition and understanding, rereading as necessary. Engage effectively in a range of collaborative discussions (one-on-one, in groups, and teacher-led) with diverse partners on <em>grade 4 topics and texts</em>, building on others' ideas and expressing their own clearly. ELA.SL.4.1a: Come to discussions prepared, having read or studied required material; explicitly draw on that preparation and other information known about the topic to explore ideas under discussion. ELA.SL.4.1d: Review the key ideas expressed and explain their own ideas and understanding in light of the discussion. ELA.L.4.1f: Produce complete sentences, recognizing and correcting inappropriate fragments and run-ons. ELA.L.4.2d: Spell grade-appropriate words correctly, consulting references as needed. ELA.L.4.4c: Consult reference materials (e.g., dictionaries, glossaries, thesauruses), both print and digital, to find the pronunciation and determine or clarify the precise meaning of key words and phrases. ELA.L.4.4a: Use context (e.g., definitions, examples, or restatements in text) as a clue to the meaning of a word or phrase. ELA.L.4.4b: Use common, grade-appropriate Greek and Latin affixes and roots as clues to the meaning of a word (e.g., telegraph, photograph, autograph). ELA.L.4.5c: Demonstrate understanding of words by relating them to their opposites (antonyms) and to words with similar but not identical meanings (synonyms).